The happy couple tied the knot this past weekend. 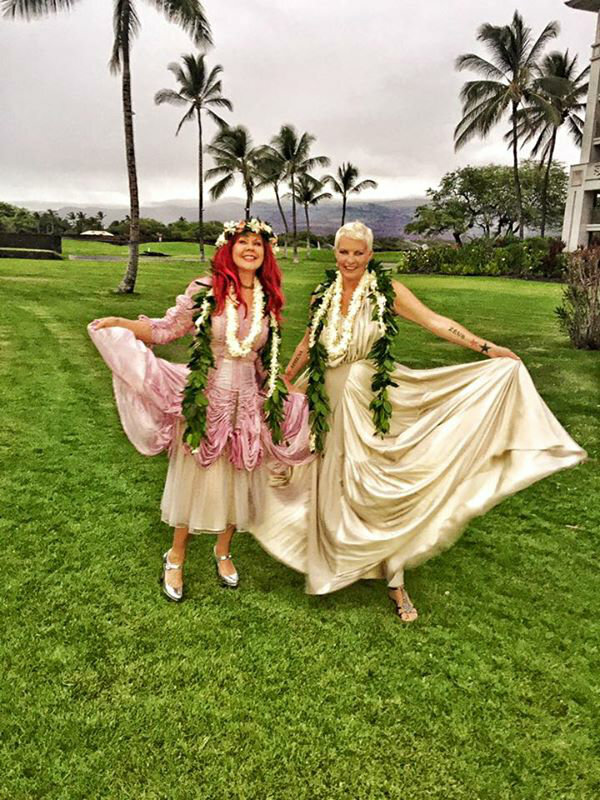 Congratulations to Kate Pierson and Monica Coleman! 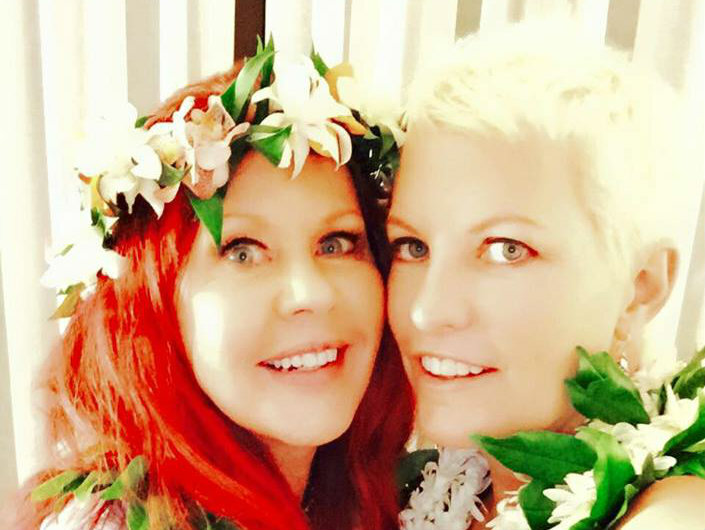 The B-52s co-founder married Coleman last weekend in Hawaii. The pair have been dating since 2003. The pair broke the news yesterday on Facebook, writing: “#itsofficial” in the caption on Pierson’s Facebook photo of both women in gowns. According to E!, the rest of the B52s were in attendance as were Sia and her husband Erik Anders Lang, who served as witnesses. Sia performed "Crush Me with Your Love," a song written especially for the couple that also featured on Pierson's first solo album, Guitars and Microphones. Sia was accompanied by a local music group. Fred Schneider, the B-52s frontman, made the best man speech. Pierson collaborated with Sia on Guitars and Microphones, which featured tracks like “Mister Sister” and "Bring Your Arms."